Home » Member Interview: Bob and Susan Karcher, authors of Who Are the Joneses Anyway? 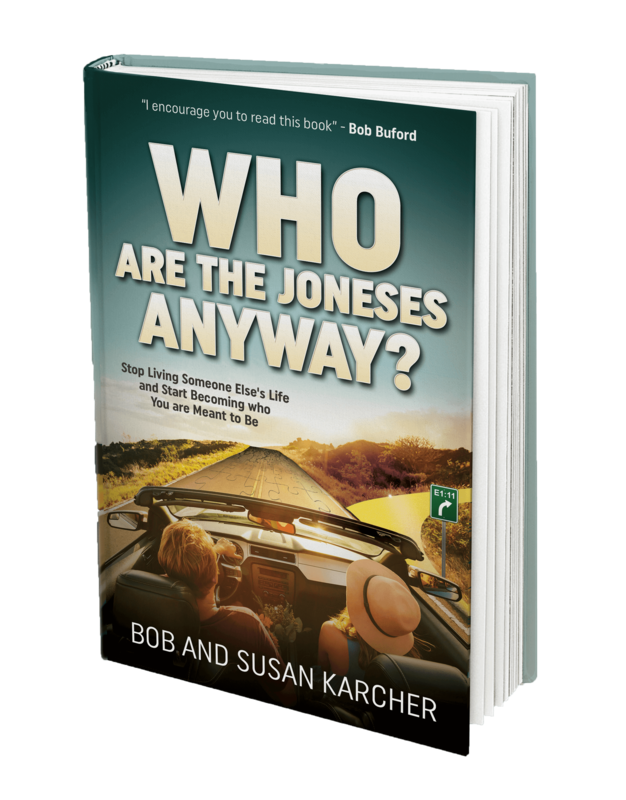 Member Interview: Bob and Susan Karcher, authors of Who Are the Joneses Anyway? At one time or another, most of us have heard the expression “keeping up with the Joneses,” referring to a legendary family that has the world trying to keep up with them. They’re mentioned in tweets, movies, newscasts, articles, blogs, books, and more. They’re mysterious. They seem to be everywhere, but no one appears to have actually met them. Why is that? Our life experience provided the inspiration and background for this book. After living a certain lifestyle for a long time, and feeling like it was required to do so, we discovered there are things much more important in this world than trying to keep up with culture’s expectations. We wrote as a team. We worked first to create a clear vision and mission for our work and this book, from which we set goals we wanted to accomplish in our content and writing style. We were clear on what our message was and how we wanted to share it. Once we had an outline we were happy with and initial research completed, we started writing, one chapter at a time. We included two rounds of beta-readers to ensure we were on the right track and connecting with our readers. Doing two rounds of this at different stages was the one most-important step that we believe helped us get to the strong product we have today. 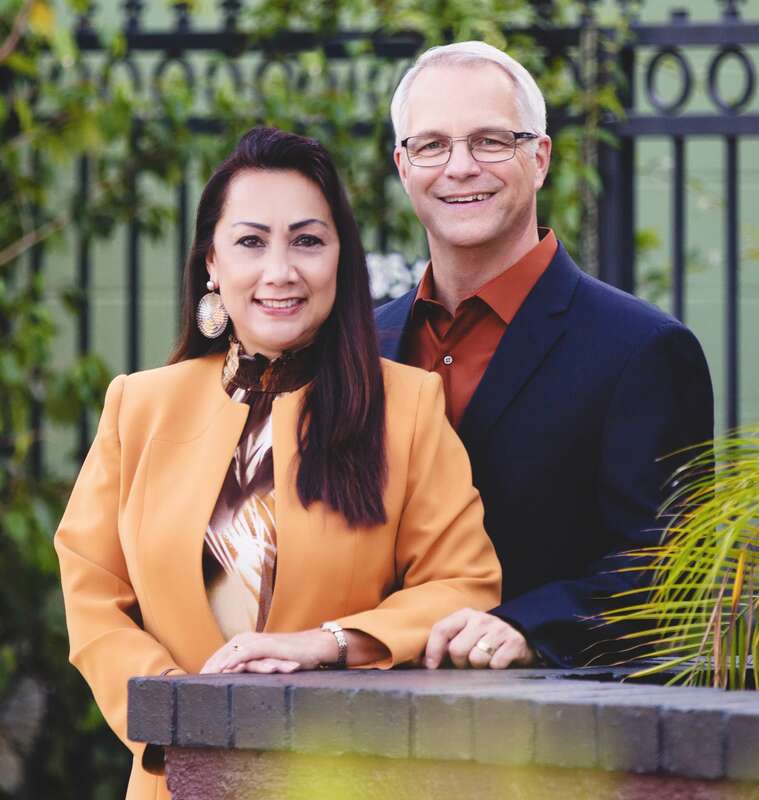 Bob has been coaching individuals and teams his entire career as an operations executive in the publishing and advertising for-profit sector and, later, the nonprofit sector. The people side of life has always driven the most fun and impact. Bob decided to make the bold decision to discover how to help others be all they can be on a full time basis. He now spends 100% of his time as an author, speaker, and coach. A typical day includes scheduled opportunities to connect with others on a variety of platforms, whether it be through coaching, individual meetings, connecting, writing, and other communication channels. Mingled throughout our days are times for self-development, relaxation, family time, hobbies, and dreaming time. Nowadays, much time is devoted to the launch of our book. We wrote our book to have impact. The greater success the book achieves will directly correlate to a greater level of impact. 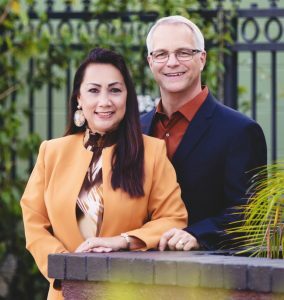 We most enjoy living out our mission: “Helping others discover who they are and why they are here so they can lead the intentional, authentic lives filled with passion and purpose they were created for.” That’s it. If we are focused on and accomplishing this, we are having a great time. Bob Buford and his book Halftime, as well as the organization he founded, Halftime Institute. We are both from very large families … we each grew up in families with nine kids. Along with that, we have well over 100 first cousins between us. This large family is all we know and drives a lot of how we spend our free time. We are launching much more than a book. We are launching an all-new effort to engage people in a dialogue and plan to launch several strategies to support this effort to include a companion discussion guide, an all-new website, blog, and podcast. Then, book #3. We are very excited. If you have a book inside of you, get it “on paper!” We can help.